Today ends my first official week of NYC Marathon training, and I did ok considering how many other things have been going on. As mentioned in my previous post, I'm using the RunCoach.com website for my training plan and I'm logging my workouts there. My biggest pet peeve with the site so far is that it runs Sunday to Saturday, and I prefer training weeks to run Monday to Sunday. Monday to Sunday weeks allow me to switch my weekend long run day every once in while (like this weekend) without making the weekly mileage look strange. I emailed them to ask if I was missing it somewhere in preferences, but it isn't an option so far. I'm keeping my fingers crossed for that change. Anyway, my training week looked like this. I like how I can see what was scheduled against what I actually did. Sunday through Wednesday I did pretty well on the plan. I felt great running 6 miles on the Los Gatos Creek trail Sunday and ran fast during my Tuesday run in San Jose. 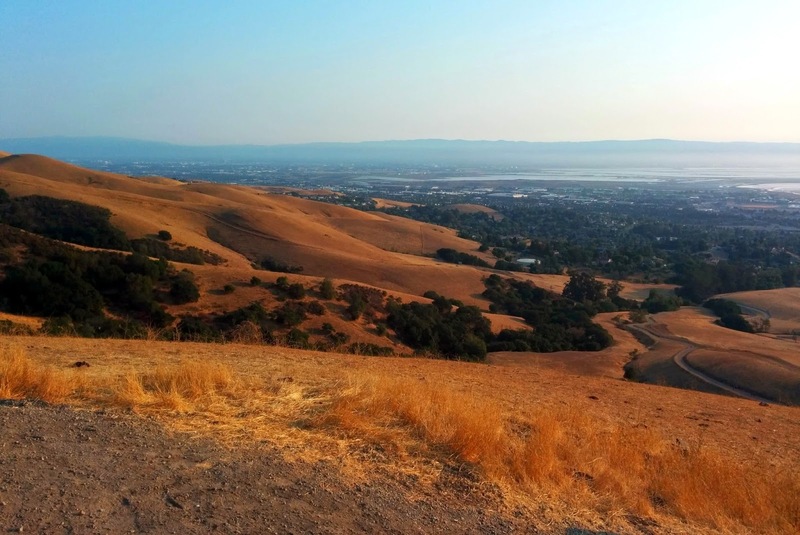 Wednesday I ran trail at Arastradero Preserve with Sophia and felt crappy, but I'm pretty sure it was allergies. I felt way too out of breath and ended up coughing a ton after. 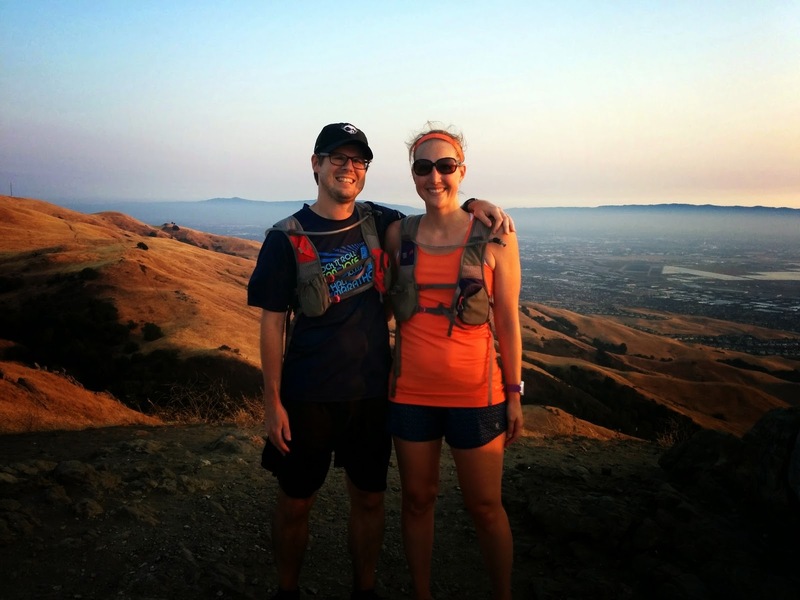 Thursday was our 10 year wedding anniversary and we hiked Mission Peak that day, which was much harder than the speed workout listed on the training plan. 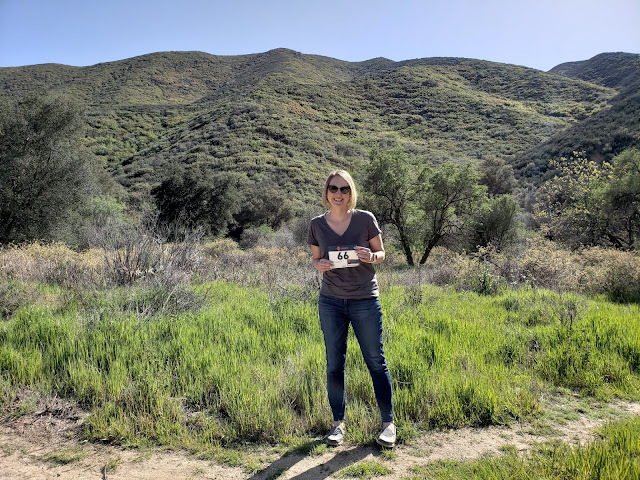 The 5.8 mile roundtrip doesn't sound like much, but the 2000+ foot climb over 3 miles combined with rocky terrain and steepness left my feet, ankles, and glutes pretty darn sore. It's ok though, the views were awesome and we had a great time! At least in my world, sometimes living life gets prioritized over a specific training day. Pretty view of the hills. VIP Area entrance and food. Loved the decor. 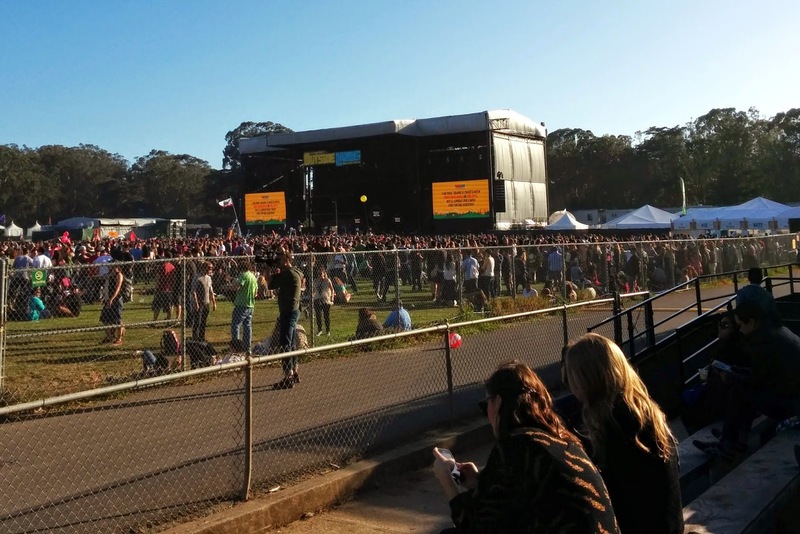 Our view of the main stage. 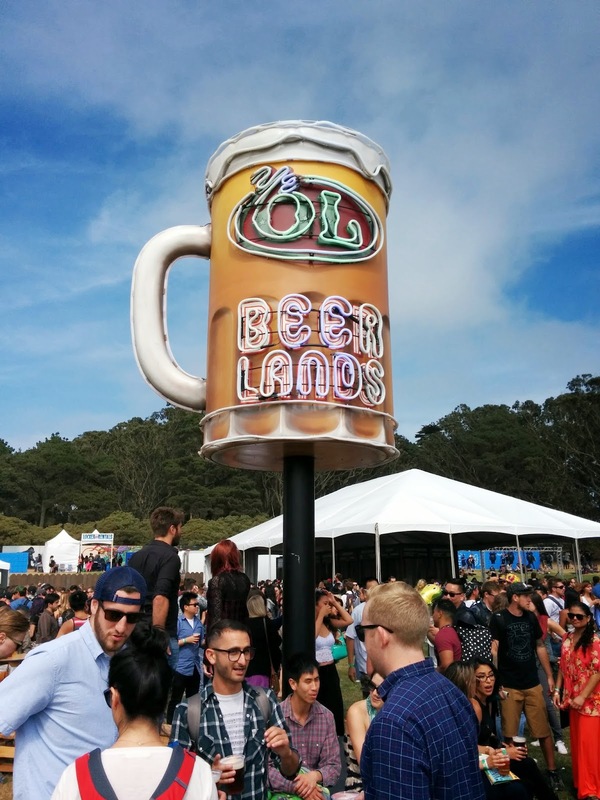 I must say my favorite part of Outside Lands was Beer Lands. Who knew they had a Beer Lands, complete with a special Outside Lands Saison by Sierra Nevada? It was awesome! They also had the Almanac Saison Delores, a draft-only new release that I'd been wanting to check out. We definitely made a few trips this direction. After the music, we hung around a bit longer with coworkers so it was really, really past my bedtime when I got back to San Jose on Friday night (Saturday morning...) I knew there was no way my lack of sleep would translate to meeting the group for a long trail run at 6:45 am Saturday, so I bailed. I felt crappy and was pretty useless as a person on Saturday; I let myself have the recovery day for rest and to get over the ankle and foot soreness too. Today's long run was 9.5 miles during the middle of the day, and boy was it hot. This was my fault - I actually planned to run mid-day because I feel like the heat training helps. I run much better in cold and am trying to improve in heat. I did ok, but it felt rough for sure! This week I'm working 2 days and then heading to Bend, OR, for lots of running with Oiselle team ladies. I can't wait to check out Bend and to see friends! 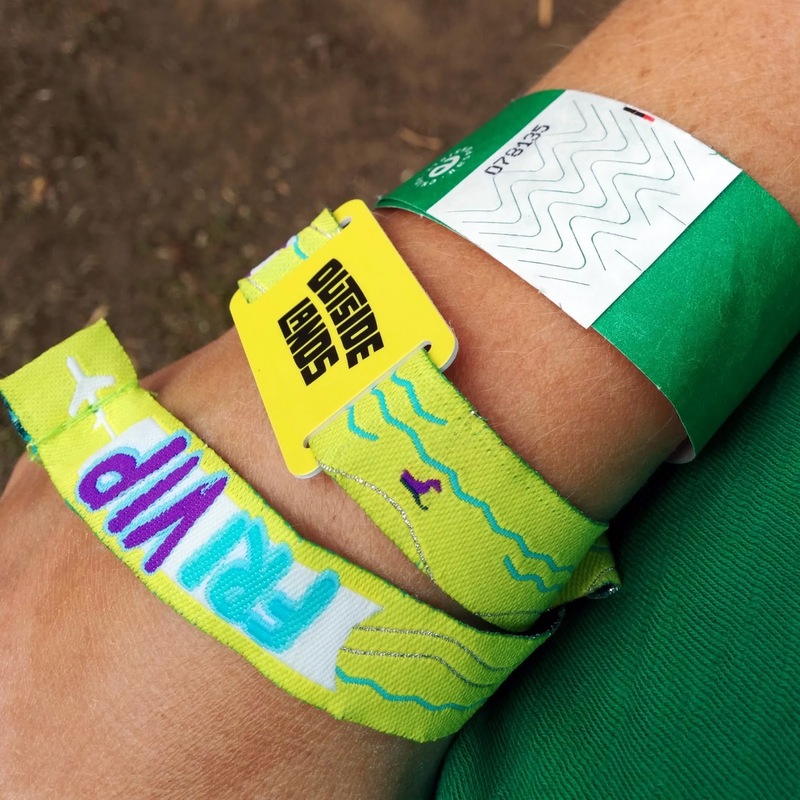 We are running the Deschutes 5K on Thursday evening and otherwise the schedule will be pretty flexible, although I'm most excited for the Saturday long trail run. Bring it on! Paulette, what a fun weekend! 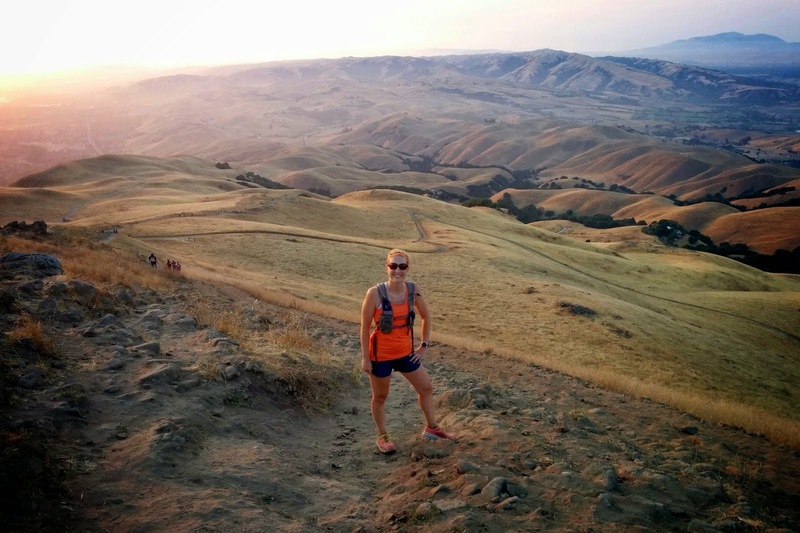 I realize that your Thursday/anniversary climb/run was tough, but those pictures - gorgeous! What a great way to celebrate, and y'all look so great! 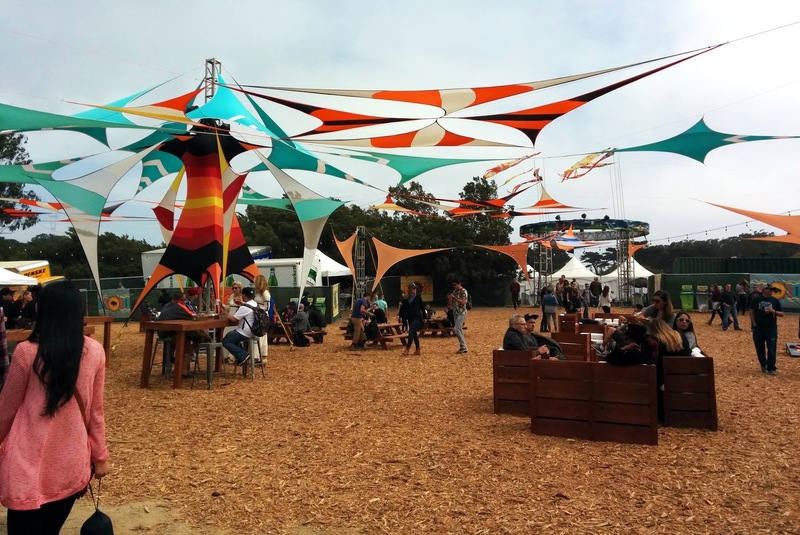 The Outside Lands event looks pretty fun, too; especially the Beer Lands part. What a treat! So envious of all of you birds going off to bird camp - can't wait to hear all about it! Have a blast! Yes, tough but worth it! Thanks! 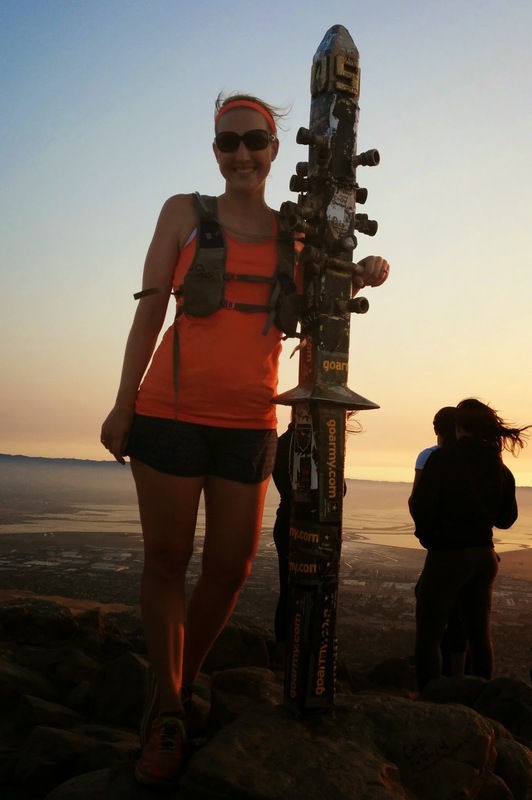 2) Mission Peak is a killer. We did it last autumn and it was so hard but so beautiful! 3) I had major bird camp envy over the weekend....your photos were gorgeous, can't wait to read your write up! Bend was so cool, you should go sometime! I want to go back already. :) And thanks for the anniversary wishes!